Parsons is hosting a new show this summer called "Masterpieces of Everyday New York: Objects As Story," which explores the experience of living in New York through objects and the stories they inspire. Running from June 27-September 4 at the Sheila C. Johnson Design Center, the show will feature 62 objects from NYC, each selected by a New School faculty member and shown with a story about its provenance or its personal meaning to the contributor. Scroll below to preview some of the featured objects and stories from the exhibit, including a cup of morning coffee, a celebrity's sewing box, and a hand-grenade piggy bank. You'd be walking alone after midnight, headed from home on St. Mark's between 1st and A to Avenue C between 5th and 6th, to meet your friends at a bar. You'd turn a corner and suddenly someone was right there next to you, too close. It pulled you up short, made your breath catch. Then you realized: it was a ragged silhouette painted on a wall. It had no title, no signature. There was no artist. Or, rather, it didn't occur to you, then, that there was an artist. You were nineteen. You were fully immersed in life. It's quite possible that you were drunk. After the first few times coming upon it -- or not it but them, because they were all over the East Village for a while: spied lurking in an alley, through a chain-link fence, on a crumbling wall, in a lot glinting with glass shards and garbage -- you'd still be startled, at first. Then you'd feel a strange thing: you felt lucky. This thing -- this place and this time -- it was your mystery, your discovery. You didn't notice when they went away. Or was it you that went away? There are layers to the life you've lived on the streets of New York City. You don't say anything out loud, but once in a while you're on a corner waiting to cross and the sunlight shifts its angle, sending you headlong through a rent in time into a scene, a moment in your life that happened right there on that very spot -- but years ago. Or more than one scene, even, each separated by decades. There are layers, ragged shadows of yourself on that corner that don't resolve to a single image or disappear when the light changes. The layers are like a wall that has had so many advertisements and posters stuck on it that have been ripped down and pasted over repeatedly until the thing that is whole is the layers themselves, advertising nothing but the way time builds, tears, and opens into the past, is covered over and opens up, differently, again and again. The 'something's not quite right' white stripped down bicycles catch your eye as you realize, these are not just parked, left, or forgotten bikes locked to poles and street signs, but ghosts marking the territories where the bicycle and car come violently together. 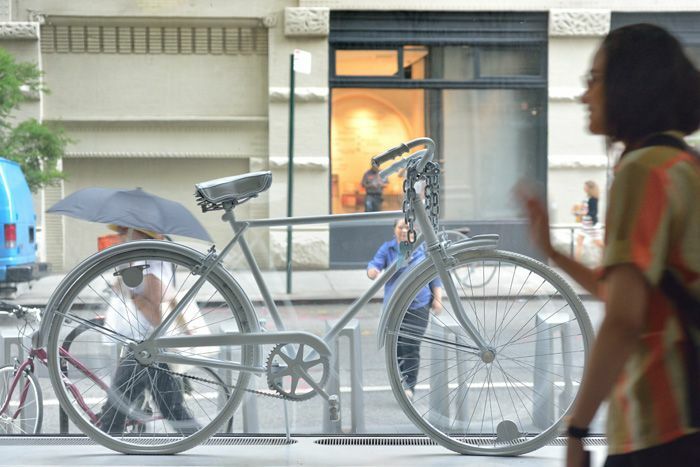 Each individual white bicycle eerily memorializes the loss of an individual life. Once you spot the first, you notice them more and more. If you ride a bicycle through the city you begin to see their pattern -- the most dangerous intersections, the street without the bike lane, the awkward spot where the road merges into a highway...the place where you yourself were almost hit. These memorials silently scream for justice, for a visibility of the contempt of the car, and against the invisibility of the cost of unsafe streets. Anyone with a personal connection or political agenda can make and install a ghost bike. Started in St. Louis in 2003, they have become a fixture of the New York streets, too numerous to ignore (between July 2011 and June 2012 there were 176 cyclists or pedestrians killed in crashes in New York City). A poetic activism. A collective mourning. They remind us of our mortality. It is a scarce 30 seconds each morning. 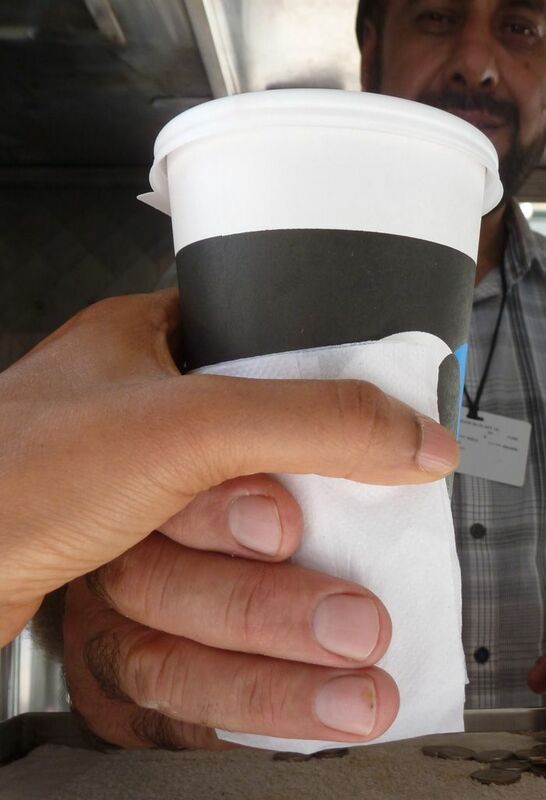 I reach for my wallet even before I turn the corner and the coffee -- large, light, no sugar, in New York parlance -- is in my hand often before I have extracted the last quarter. It's time enough for me to say "Morning, Ibrahim," which is how I address him, even though he has been renamed Abraham, writ clearly on the ID he wears, licensing him to operate the coffee cart. In the curious cultural geography of this city's businesses, coffee carts are dominated by Afghans just as the corner fruit stand vendor tends to be Bangladeshi, and taxi drivers often Pakistani or Indian, especially from Punjab. Thus, the lexicon of New York's daily exchanges traces genealogies absent and imagined. He calls me "Khan," derived from My Name is Khan, a 2010 Hindi hit film about an Indian Muslim man in the United States confronted by discrimination after 9/11. The film's protagonist, played by Bollywood superstar, Shahrukh Khan, undertakes a journey across the U.S. to say to the President: My name is Khan and I am not a terrorist. Ibrahim seemed to watch the film daily for a time, often singing a line or two from the film's songs as a greeting. We have never discussed his experiences in this city in the years since 2001. I know that, in part, my appellation comes from the fact that my hometown is Bombay, and is akin to calling an Angeleno after one's favorite Hollywood classic. He will commiserate with me when a great star or singer of yesteryear dies. Occasionally, we refer to the politics of the morning papers that are often from our corner of the world, when I may temper his virulent invective against our common neighbor. For all our far-flung affiliations, we are both New Yorkers of many decades standing. He is not the Kabuliwala (man from Kabul) of Tagore's tale, which most Indians of my generation read at school, peddling his wares in Calcutta, befriending the child Mini even as he clutched a sheet of paper bearing the hand print of his own faraway daughter. Ibrahim's family is in Queens; I've met his son when he has come to help out his father. The Kabul of my childhood also arrived in the Diwali holiday baskets of dried fruit and nuts that our neighbors procured. Individual triangles of almonds, cashews, walnuts, raisins, dates, and pistachios wrapped in yellow cellophane on a round, red base. Supposedly imported from Afghanistan, they seemed to release into our tropical autumn the crisp spring of mountain air. For us kids, who spent the rest of the year dipping into paper cones of peanuts and chickpeas in that Indian ritual of whiling away the hours called "timepass," the crinkle of the cellophane as the neighbors' son self-importantly unwrapped each triangle, marked a moment of anticipation in which time stood still. Nowadays, my stash of nuts is more apt to come from Patel Brothers in Jackson Heights where they are cheaper than elsewhere, yeomanly wrapped in thick clear plastic. Yet, on some mornings, when I say to Ibrahim, a badam too, please, and he hands me an almond croissant, I am almost wistful. He may reply: No charge, Khan. Strike flat the thick rotundity o' the world!..." King Lear spoke to the Elements as if they could hear him. It was not that the Elements might hear the sound of his mortal cries, it was that they would actually understand him...understand his words. Stranger still, ipso facto, Lear assumed that they might very likely talk back to him. "...Crack nature's molds, all germens spill at once / That make ingrateful man!" Even if their response was not to be in Shakespearean English, the Elements' expression would surely be comprehensible in linguistic terms. Things do this; we seem to require it of them. And one class of things -- objects -- do this most of all. Call it the Anthropomorphic Impulse. Whether designed or found in the natural world, objects have a tendency to talk back to us, to suggest not only our own human form or nature, but also our sense of other living entities - real or imagined. Objects evoke our predicaments - physical and psychological - as we instill in them an empathetic animistic presence. Indeed, our transactions with objects are far more than instrumental. In the subliminal Quotidian, they are also the stuff of daydreams, nightmares, and aboriginal yearnings...in short, the stuff of our world. 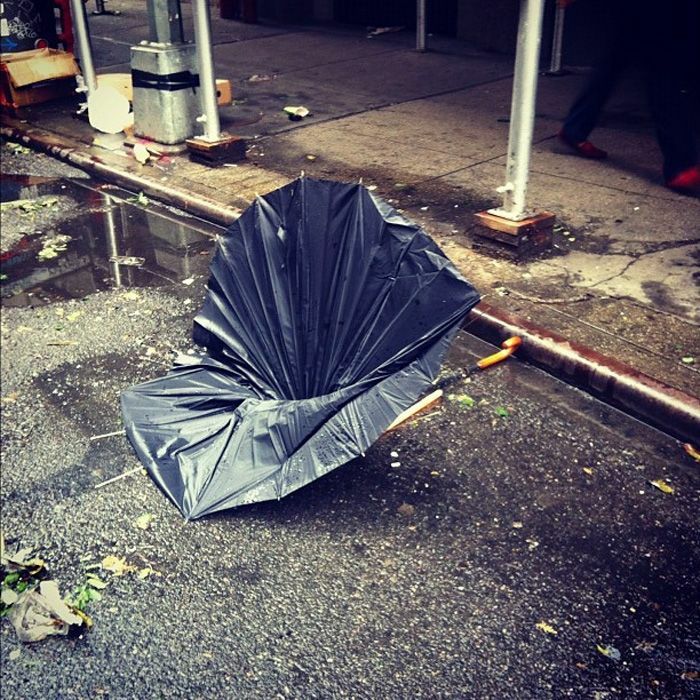 Take my tempest-tossed New York City umbrella. Please. Photographs from Didn't Quite Make It, a photo-documentary project by @lmanningdesign (photos by Lauren Manning and Veronica Acosta). March 2004. I am in my studio on the 33rd floor of the Woolworth Building, located at 233 Broadway, downtown Manhattan. Sitting still for a moment, time unravels around me. My eyes travel out the window across City Hall Park, the bridges, over Brooklyn and the Long Island Sound. Turning my head I suddenly meet the gaze of a woman. Across the park, she stands face to face with me: golden, barely dressed, balancing delicately on top of a ball at the tip of the Municipal Building. A fresh breeze seems in her face. Civic Fame, a statue by Adolph Weinman, commissioned by the City of New York. A woman posed. A city represented. A text doubled by another. An allegory. AlIos = other. Agoreuei = to speak (publicly), or the impulse to appreciate the transience of things and to rescue them for eternity. I look again, this time walking on the street, I look up at her and wonder what was rescued from the oblivion of history, a young woman's body or civic fame? As days pass and I pass her, her body prevails, I start to recognize her other places, on facades, in pediments, on pedestals all over New York City. A face, a wave of hair, a curve of a body, a gesture of hands in marble, in stone, bronze, and embossed on the face of a 1926 dime. And then I find a name: Audrey Munson (1891-1996), a well sought after model, and I ask myself: What was her life like when she posed in all these artists studios? Did she walk to work? Was she scared of the anarchists' bombs exploding around the city? Did she pass the suffragists marching, or a picket line of young girls her age, fighting for just wages and healthy work conditions? Had she gotten hold of Margaret Sanger's educational pamphlets on birth control? Had she stopped at Union Square to hear Emma Goldman give one of her engaging speeches, which had yet again drawn a mob? Or did she pass the Baroness Elsa von Freytag-Loringhoven, the Dada artist marching around Washington Square Park wearing an inverted coalscuttle for a hat, and metal tea balls attached to her breasts? Or did she have a plan to have a drink later at the bar where Djuna Barnes sometimes did readings, or maybe the Heterodoxy Club above the Washington Square Bookshop, where women met? Or had she noticed the handsome European, with hair combed back, called "Marcel" at the cafe at the Brevoort Hotel? Had she meet a deadline for one of her articles for the New York American, a Hearst Paper? I can feel her agency, now and then, solid in her fragile silenced presence all around. It becomes a code of reference that inevitably binds the public to the private and back to the political, telling the story of one young woman and turning it into the story of many. A text, upon a text, upon a text, upon a text, folding the past into the present and into the future. 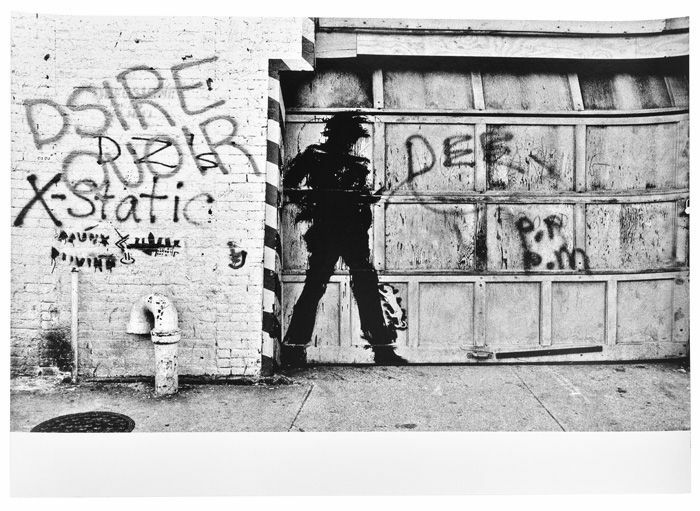 A gentle reminder of the inevitable presence of many radical condensations of personal and political struggles woven into the fabric of New York City. 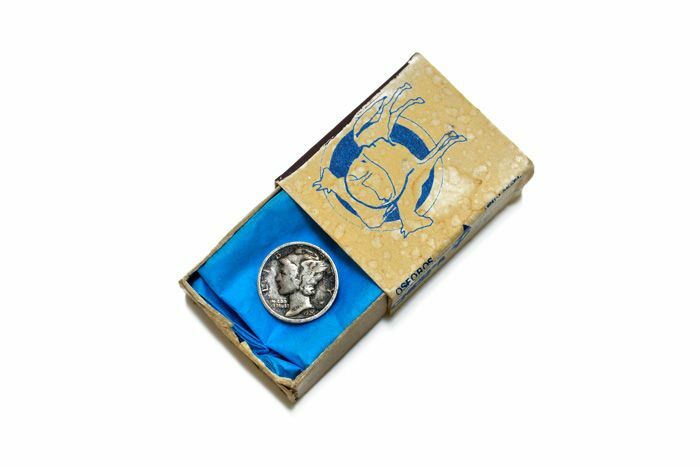 A dime as a demarcation that inserts into the everyday, not another truth, but meaning. Prior to coming here I lived in Montreal, Milan, and Rochester NY. I was familiar with the stereotypes of the homeless as an underclass outside the webbing of any social fabric. However I started thinking about them as a political force in relation to New York-specific struggles over the mid-1980s redesign of Union Square Park, which were being fought across the bodies of the homeless by the artist Krzysztof Wodiczko, in Paul Goldberger's architecture column for The New York Times, by New York's Department of Urban Planning, and the City Parks Commission among others. I read about these battles in the late 1990s in Rosalyn Deutsche's work on the public sphere, which characterized them as part of a broader movement to clear the underclass from Manhattan. From the perspective of graduate school in Rochester, it seemed to be a peculiarly New York confluence of intelligence and ruthlessness, radicalism and entrenched grandiosity. I moved to New York City in 2001, a city where the events resulting from 9-11 eclipsed the gentrification wars. Recently I've returned to thinking about homelessness, this time from a temporal perspective. The contemporary meaning of dwelling, and home, carries forward a spatiotemporal dimension of permanence from Old Norse and Middle English. All places that are "not home," on the other hand, share a spatiotemporal relationship of transience. Workers return for a portion of each day to their place of work, and commuters regularly pass through a set combination of transitional spaces. Consumers of culture (tourists), goods (shoppers), services (client, patient), enter and exit a country, shop, or waiting room. Given that "not home" is defined as a place where people can neither dwell nor stay, transient spaces are also distinguished by how they are controlled. They can acquire a particularly brutal overtone when a transit employee brings her baton smashing down on a subway seat beside a sleeping transient, forcing him awake and into motion. As a worker/commuter, I repeatedly pass through specific sets of transitional spaces. I've come to appreciate how transients use these spaces with a similar degree of predictability. I'm moved by the scrupulous approach some take to building homeless homes. 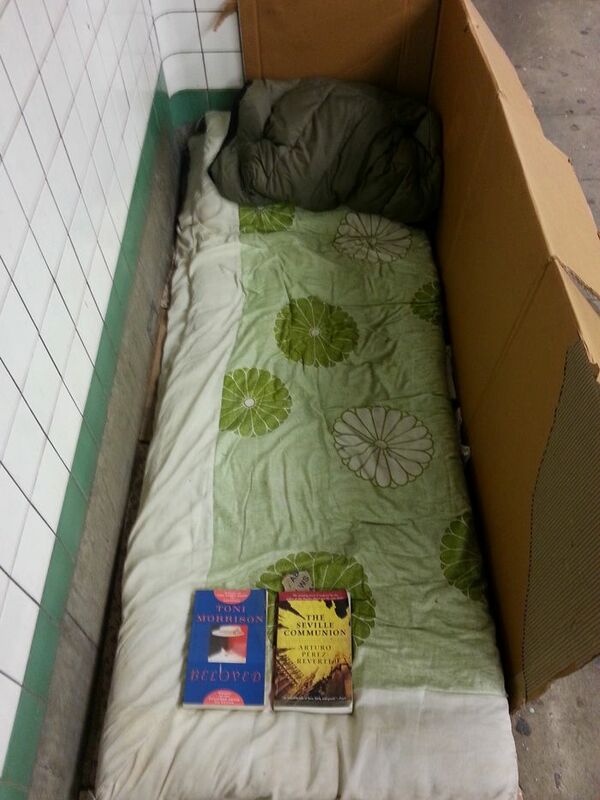 Recently I've noticed a particular homeless home that materializes, every evening, in the mezzanine of a particular subway station. It contains the comforts of home, translated into the language of transience: two sheets of corrugated cardboard are laid on the floor. Another sheet serves as a privacy wall. The accouterments change. One day, an opened book rests on a sleeping bag and a carry-on suitcase stands sentinel. Another day an umbrella provides shade from the fluorescent glare, and a half-gallon of lemonade and a cup are neatly arranged on the public side of the privacy wall. On another day, two sheets of cardboard and two sleeping bags lie side by side, making a double bed. One day, I was descending the staircase from the mezzanine to the platform and I saw two people lying side by side in their sleeping bags. One was reading a book. It reminded me of my home. 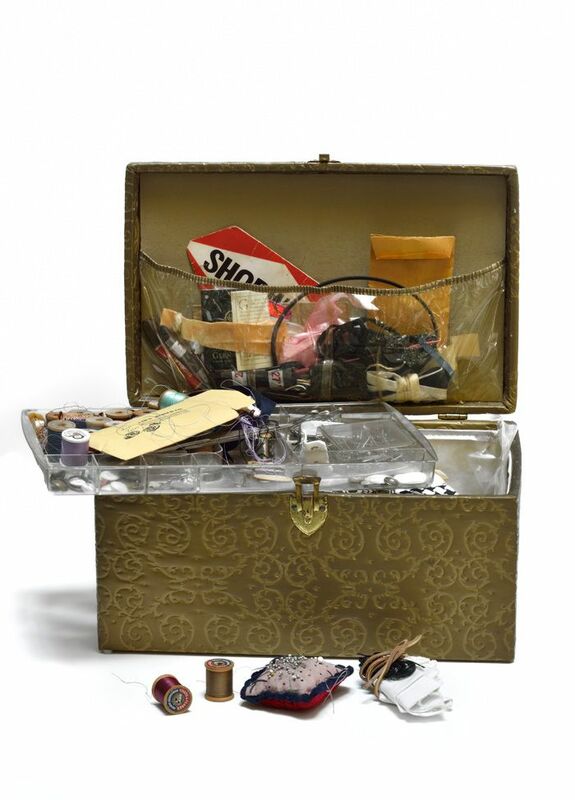 When I think of New York, I think of Ruth Rubinstein, later Graeber, and her sewing box. Ruth was the star of Pins and Needles, a musical comedy revue put on by a cast of ILGWU workers, which ran from 1937 to 1940, and would become a Broadway hit. Ruth Rubinstein: lead actress, comedian, radical self-taught working-class Jewish intellectual, brassiere sewing operator, wife, and mother. For me, this box tells the story of Ruth, her labor at work, and her labor at home. I knew Ruth towards the end of her life. She shared with me stories about how fast she could sew bras and the factory jobs she worked when she was 17. She told me about her role in Pins and Needles performing for FDR at the White House, and meeting Gypsy Rose Lee who taught her how to put on red lipstick. She told me that she had married a non-Jew, that her family declared her dead and held a shiva for her. Her husband, who fought in the Spanish Civil War, was an anarchist and plate stripper for offset printers, and had a deep interest in coins and the mythologies of ancient civilizations. One of her sons would go on to become a librarian, while the other an anarchist anthropologist and social/political activist. Ruth was an old lady who introduced me to pho and pork chop over broken rice on Mulberry Street. We watched Jon Stewart together. I had never known a woman from her generation who was so radical in her thinking, in her politics, and in her humor. The box is a diary of sorts. It has me thinking of archives, especially when New York political history is often told through the structural history of unions rather than the narratives of radical young and fashionable women who spent nights and weekends singing and dancing and dreaming of life on stage, while sewing on the factory floor during the day. Inside this box are the bits and bobs from her bra sewing days, complete with straps, snaps, eyes, and hooks. It was a time when spools of thread were "Made in England" and sewing needles were given out free with the purchase of a sandwich at a garment district deli. Inside are her sons' clothing labels to be sewn into their clothes. A small white envelope contains colored Kodak slides of her husband and son on the beach, vacationing on Fire Island. During Ruth's memorial service in Washington Square Park in 2006, the old ladies and men talked of the old days, life on stage, and when a Jew could not even open a bank account in the garment district. They mentioned picking blueberries on Fire Island, Ruth's chicken, and her talent for making tasty Chinese food, and that time when her family declared her dead. When we write about people's lives, we tend to treat one's life at work as separate from the labor that happens at home. This box is emblematic of both -- the box of a woman who sewed at the factories and cared for her family at home. These aspects of her life, its meanings found within this box, were always intertwined, inseparable, and whole. Sewing box lent by David Graeber. Photo by Martin Seck. On any given day, 1.2 billion gallons of drinking water flow to New York City, much of it rising to any of the approximately 10,000 water tanks dotting the New York skyline, from where the water falls again, filling individual pipes in the buildings below. Each New Yorker consumes, on average, 70 gallons of water per day -- half as much as people outside the city, ten times more than people in, say, Cambodia. The city's water supply system is an intricate timekeeper. The mountains of the Catskills and Adirondacks collect water through springs, condensation, and precipitation, all happening at different intervals and over different expanses of time, spanning eons. A threshold of maximum capacity is continuously transcended, water pressure exceeds air pressure, and water rushes "down" to where more space beckons: rivers, lakes, reservoirs, and ultimately the city. There, water waits again, now contained in wooden water tanks that release their burden when people below flush toilets and turn the faucet. In 1894, Harris Rosenwach, a Polish immigrant and barrel maker, was hired by William Dalton, another cooper who had bent his trade to work with not only wine but water. The city had recently ordained that every building more than five stories high had to provide a water tank to function as a temporary water repository, thus regulating water pressure and alleviating its impact on the city's pipes, at risk of bursting from the rush of water. 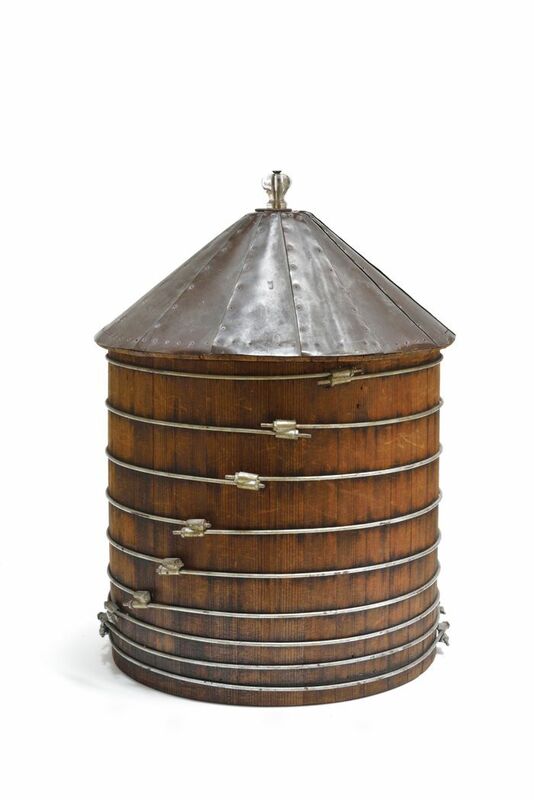 Over the years, what became the Rosenwach Tank Company perfected their product, taking advantage of its natural characteristics: a wooden tank needs no lining since wood expands with water, thus sealing any cracks. Even in the midst of winter, water in a wooden tank will not freeze. Wood won't corrode, and water won't acquire unwanted flavors. The tanks last between thirty and ninety years, their colors evidence of meteorological conditions -- gales on Manhattan's West side are harsher than those on the East, causing faster decay. No surprise that "A Tower of Strength" is the aptly chosen motto of another venerable tank manufacturer, Isseks Brothers, Inc. Different from other municipalities, in New York every building fends for itself, and common responsibility for water pressure gets distributed among its constituencies. With this system of fragmentation come individual adaptations. In Queens, water towers have been explored as "canvas" for lavish paintings; MoMA sports an artist copy on its roof. In Tribeca, voluntary design guidelines embrace new water towers as long as they are "of the traditional wooden barrel type," whether they're functionally needed or not. Much ado has been made of the temporary restaurant that popped up inside an abandoned water tank in Chelsea in spring 2013. Empty or full, design trend icon or bare tool, the water tower is a "water" head to our towers. As it perches on them so delicately, it speaks of time and precariousness and preciousness, intentionally or not. Model of water tank and lumber lent by Isseks Brothers, Inc. Photo by Martin Seck. During the fall and winter of 1918-19, millions of Americans braved the great influenza pandemic to celebrate Armistice. Parades and spectacles -- like Victory Way on Park Avenue -- greeted returning soldiers. Children clutched their precious hand-grenade savings banks as they rejoiced alongside family, friends, and neighbors. The 15 million banks distributed by the U.S. Treasury Department's War Loan Organization aimed to encourage American youth to continue to practice thrift, conservation, savings, and investment. In the four Liberty Loan and the final Victory Loan campaigns of World War I, an estimated 20 million subscribers (82 percent of U.S. households or roughly 20 percent of the population) pledged to buy a federal war bond. These drives raised $21.4 billion. The War Savings program collected roughly $1 billion through the sale of savings stamps and certificates to as many as 34 million men, women, and children (nearly a third of the population). Prior to the Great War, no more than 500,000 Americans had owned any type of financial security--stock or bond, government or corporate. New York City financial institutions positioned themselves at the forefront of financial mobilization during World War I. Representatives of Wall Street firms dominated Liberty Loan and War Savings committees. Some of the most sensational Liberty Loan rallies -- which included performances by motion picture stars Mary Pickford, Charlie Chaplin, and Douglas Fairbanks -- took place on the sub-treasury steps at the corner of Wall and Broadway. New York City's leading banks, trusts, and brokerages underwrote advertising space for the War Loans; only the nation's top retailers rivaled the Wall Street firms in the magnitude of donation. Throughout the War Loan campaigns, then, Wall Street burnished a patriotic image. Wall Street also took notice of the way in which all kinds of civic institutions applied mass-marketing techniques to sell small-denomination federal bonds during the Great War. Eager to capitalize on their newly-improved standing with the American public after Armistice, many New York financial firms utilized War Loan subscription lists and marketing techniques to pitch other kinds of securities, especially corporate stock. Indeed, it was the success of the federal government's sustained efforts to mass-market its war debt and to reshape popular attitudes toward securities investment that enabled banks, brokerages, and other financial institutions to promote shareholding so successfully in the 1920s. At that decade's end, the Great Crash would engulf a quarter of American households. Even so, investment in financial securities traveled from the margin to the mainstream of economic and political life in the United States in the decade after Armistice. Despite the Great Crash of 1929 and the financial turmoil of the early 21st century, the notion that a culture of widespread investment confirms the democratic nature of American capitalism endures. So does the belief that financial markets and institutions constitute the overarching framework of a free enterprise system. The tendency to regard stock prices as real-time indicators of corporate and national economic performance persists. 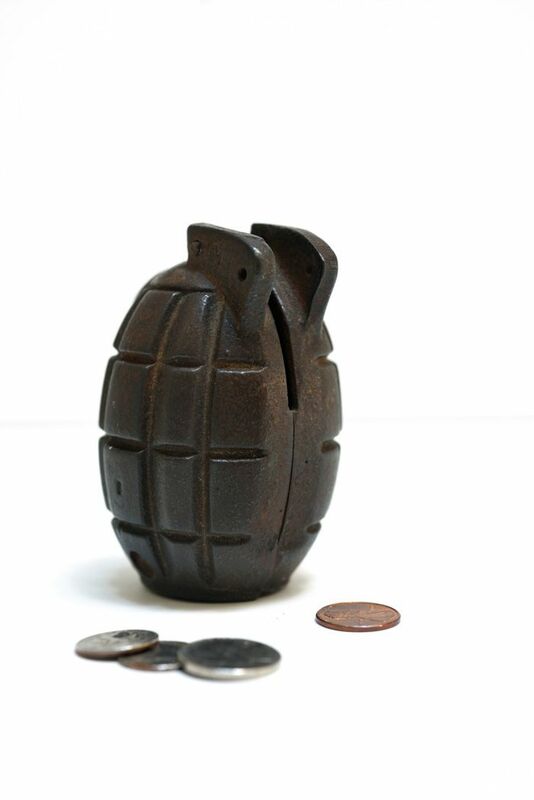 Ever since 15 million American schoolchildren received hand grenade savings banks as a gift from the U.S. Treasury Department's War Loan Department in 1918, Americans generally have accepted the notion that Wall Street forms the bedrock of American capitalism. They have, however, hotly debated how well Wall Street serves Main Street time and again. -- Julia Ott, Associate Professor of History, adapted from her book, When Wall Street Met Main Street: The Quest for an Investors' Democracy (Harvard University Press, 2011).